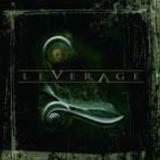 Despite being Finnish, Leverage was an entirely new band to me upon receiving their promo. It is partially surprising how ready the band sounds on their debut LP. They mix melodic walls of rocking guitars and lush harmony vocals a la Van Halen and Bon Jovi with layers of keyboards and slight hints of progressive riffing of old Queensrÿche. Vocalist Pekka Heino might be familiar to some of you from Brother Firetribe. His smooth and soaring vocal delivery brings a certain AOR-feel to this material. It definitely adds to the very melodic qualities of the album. This is also evident in the fact that Heino shines most in the ballads on this album. His voice lacks a bit of the aggression and attitude that would be necessary for the “bad asser” tunes, but it is easily taken back in the emotion and delivery of softer moments. Actually, Leverage is like a more serious cousin of BF. Instead of tunes about hot babes and rockin’ parties, the lyrics are tales of war, perseverance and sailing in dangerous waters. The bands playing is very tight and the production provides ample power equally for the harder songs as well as the moodier pieces. Marching For War and Dreamworld represent the best of the harder edge of Leverage, which I could easily imagine being sung by Geoff Tate in the early 90s. Horizon and Gone exemplify what a good power ballad sounds like, all the way to the honey-dripping “uuuu-aaaahhh”-backing voices in the choruses and guitar solos that can easily be imagined to be played on a snowy mountain top as the wind is blowing your mullet back. However, my favourite song is the fist-pumping Sails that just kills with the catchy chorus, amazing soloing and vintage 80s synthesizers. For starters, Leverage is a complete package ready to rumble. They sound like a direction is still being sought between the simple melodic rockers and progressive elements. Seeing how this is their first full-length album, we can expect wonders from them in the future. Tides is very recommendable for all fans of melodic rock and metal.